I attended Alt Summit over the weekend and had the most refreshing and inspiring time! As a first-time attendee, I had heard how wonderful and creatively stimulating the Alt Summit conference was and had wanted to attend for years! I finally made the decision to attend this year and I couldn’t be happier. Alt Summit is a conference for creatives, bloggers, and small business owners to find inspiration through workshops, breakout sessions, and meeting brands interested in collaborating with them. 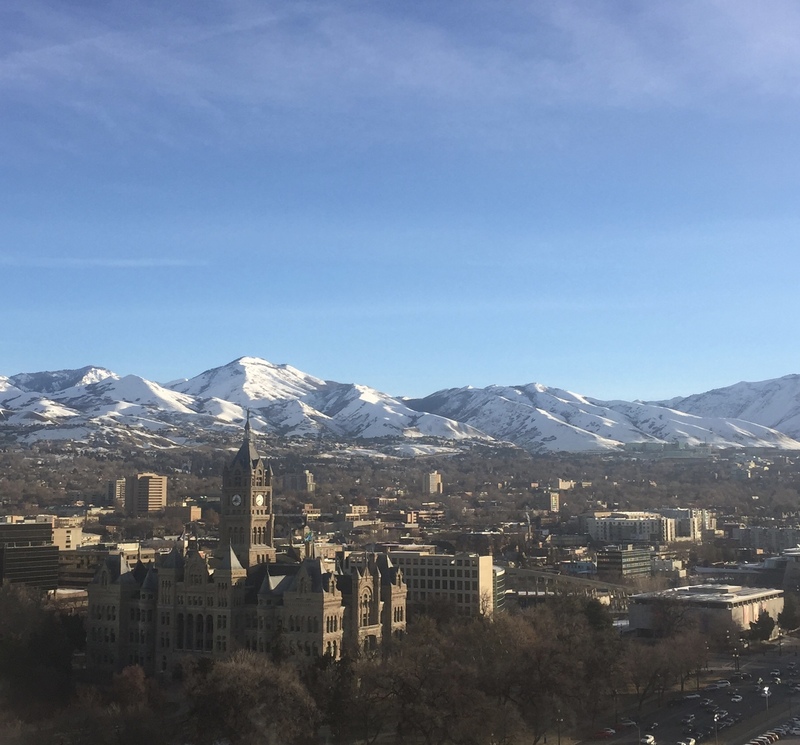 I arrived in Salt Lake City, Utah last Wednesday, and jumped right in to meeting people after settling into my hotel room (complete with balcony on the 20th floor!). That night, sponsors held small dinners at restaurants across the city; I am so glad I opted to attend a dinner hosted by Chairish at The Paris Bistro because it gave me the chance to meet a few attendees before being overwhelmed by hundreds of people the next day. Luckily, I went out to the car stand at the hotel to grab a car to the restaurant and happened to meet another attendee going to the same dinner as me; we shared a car and she became my first Alt Summit friend. Every keynote address and breakout session was full of new ideas, stories of epic failures that were turned into successes, and genuinely interested women (and a few men!) who wanted to invest in you and see you achieve your goals. In between sessions, we grabbed snacks, talked to sponsors, and met new friends! Here I am, below, in line for food, of course. At a conference, I expect to meet a lot of people who are creative and talented, but in addition to those things, every person at Alt was NICE! There were no cliques of attendees who had attended the conference together in previous years; everyone was open and willing to meet, talk about new ideas, and exchange a business card. When I arrived at the Grand America Hotel (gorgeous! ), I was greeted by a swag bag full of goodies from all of the event sponsors. If you know me and my love of paper goods, you can only imagine how excited I was to receive a bag full of journals, note cards, and even a beautiful planner! Over the course of the weekend, I received makeup samples, tote bags, a leather clutch, the most delicious snacks, and so many more generous gifts from sponsors and attendees. Each seated meal was something to look forward to because the food catered by the hotel was outstanding and each person that I shared a table with had a unique perspective and was excited to share their story as well as hear mine. These adorable terrarium planters were one of the gifts provided my Maker's Kit- I can’t wait to assemble mine and hang it in my house! One of the fun things about Alt Summit is that there’s a photo booth around every corner! I loved grabbing a new friend and hopping in a photo booth together, whether it was in the sponsors' room, at dinner, or at the mini parties on Friday night! One of the mini parties on Friday night was a "See No Evil, Hear No Evil, Speak No Evil" party and the main attraction was the silent disco dance floor! 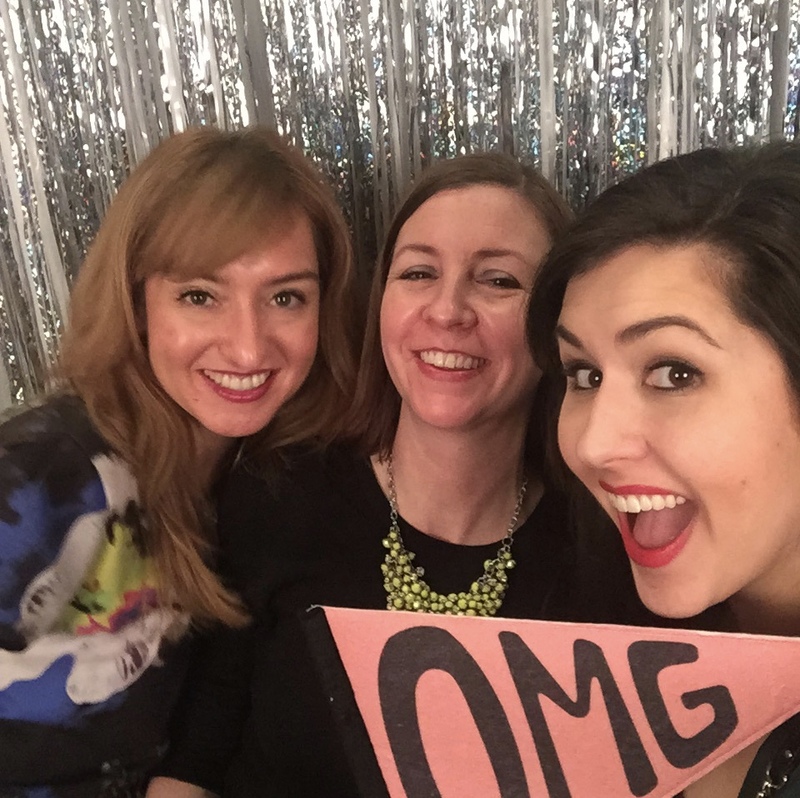 The ladies in charge of this particular mini party were so much fun! I loved dancing the night away with all of my new friends. The below photo is from the glamorous Paparazzi-Ready party, where the hair and makeup glam squad were styling attendees to make them photo-ready! I bypassed the styling line and just hopped in the photo booth at the end of the night, but I love the way this photo turned out- so glamorous! By the end of the mini parties Friday night, we were all friends, talking in the hall between party rooms and giving tips about which parties had the best food and gifts. Each workshop and learning topic presented during the day were relevant and full of ideas for bloggers, writers, and designers. It was tough to choose which sessions to attend- I wanted to go to all of them! One of my favorite talks with given by the closing keynote speaker, Elle Luna. We were given a copy of her book, “The Crossroads of Should and Must” and she spoke about the important of honoring who we are- giving room for the creative person inside of us to come out and flourish, which is our “must,” rather than living a mundane life full of “should” decisions or letting others dictate what we “should” do. It was powerful and inspirational; I can’t wait to read her book (plus, the book illustrations are beautiful!). Overall, I would recommend attending Alt Summit to anyone trying to grow their business or just looking for a little creative inspiration. I left Alt with a full heart and a brain overflowing with ideas! I met so many wonderful people at Alt and am looking forward to applying some of the things I learned! Next year, Alt Summit is moving to Palm Springs, California, so while I’m excited for the new location, I’m so happy that I got to experience the “original Alt” at the Grand America Hotel, Salt Lake City. Professional photos by Justin Hackworth and Brooke Dennis for Alt Summit.